lil chung's lil adventures: Apple Picking, Doughnuts, Slushies and Cake! Apple Picking, Doughnuts, Slushies and Cake! It has been a couple decades since I have been apple picking and I was so excited to finally make plans to do it here in KC. However, when my friend Rebecca and I arrived at the Cider Hill Family Orchard one day in late October, we were met with bare apple trees and the sad news that there would no longer be any apple picking at the orchard since their apple supply was pretty much depleted. But not to worry, they still had already picked Jonathan apples we could purchase as well as cider doughnuts and cider slushies! And we were informed that late August-late September was the best time for apple picking in KC. I took about 2lbs of Jonathan apples home with me, which are good for eating fresh or for baking. While they weren't the crispest of apples (I like mine crispy), I decided to use my stash for baking. I opted for this Apple Yogurt Cake since I wanted an easily shareable baked goodie to bring to work. 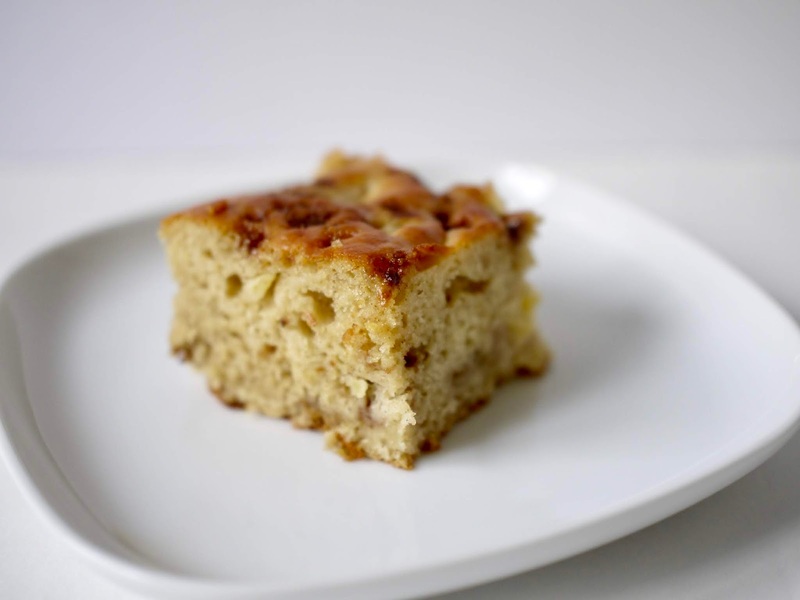 The Recipe: Apple Yogurt Cake from The Kitchn. Even though it isn't the most visually stunning cake, it is pretty darn tasty. 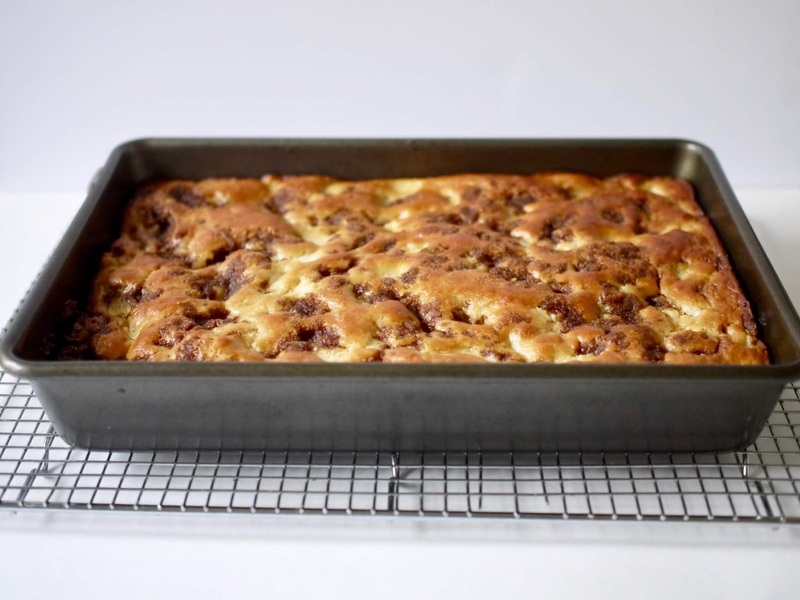 It is so flavorful with punches of cinnamon, not too sweet and perfectly moist. I can't wait to make this again in the future with some freshly picked apples.